The BMW MCON and the GS Giants are excited to present another Adventure Ribfest, one of the most popular events on the calendar each year. Return to the Waggoner farm in beautiful Centerville, Tennessee in the heart of Hickman County for The Best Ribs You Can Ride To. 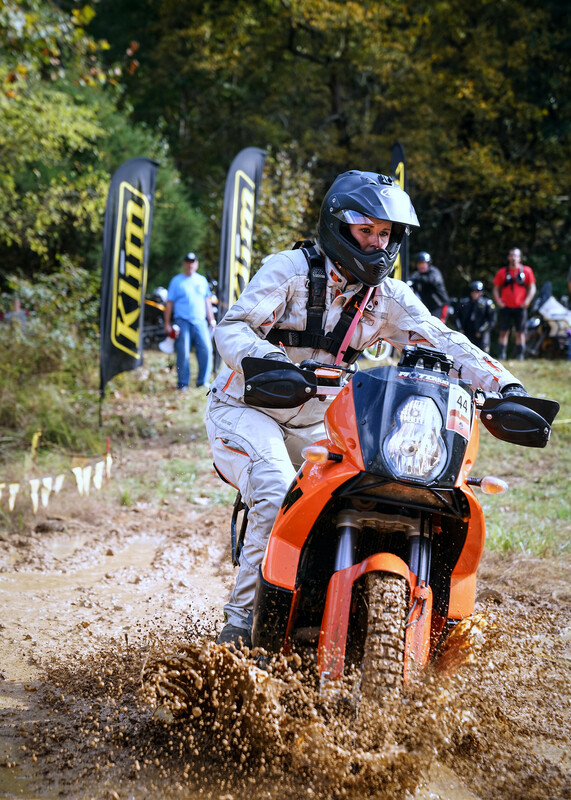 Hickman County and the surrounding areas host some of the best riding in the country. 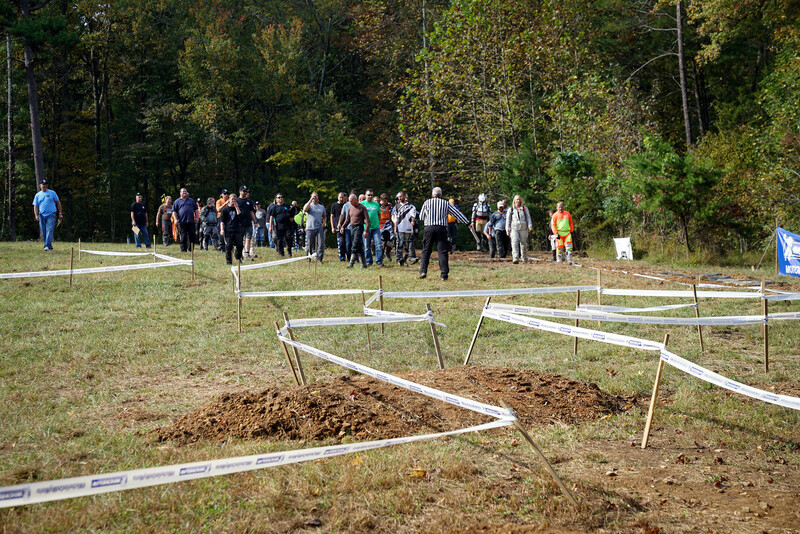 Dual sport riding can be found for all skill levels, from first-time dirt riders to those looking for more challenges. If dirt, gravel, and streams don't suit you, there are paved roads that rival the best of East Tennessee. Our site includes plenty of shady spaces for camping, with nearby motels, and all the ribs and chicken that you can eat, lots of other activities, and some of the best camaraderie in the motorcycle world. You must register prior to October 8th. Price: $75. This includes dinner Thursday, breakfast and dinner Friday and Saturday, and breakfast Sunday. Price: $95. This includes dinner Thursday, breakfast and dinner Friday and Saturday, and breakfast Sunday. Registration on site is also $95, including meals. Day passes include dinner. – Pre-registration is strongly advised if you plan to eat ribs! Ribfest t-shirts are available for $15 each, with your registration or at the rally. Quantities at the rally may be limited - to ensure you get your size, order when you register. 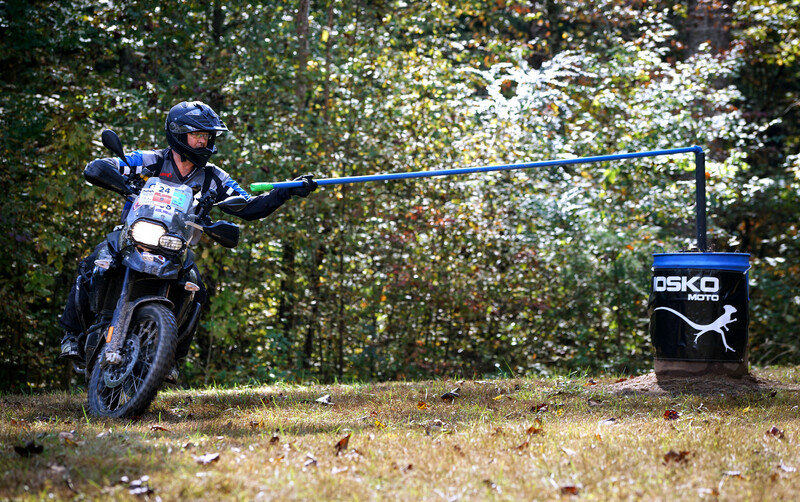 Tom Asher (740-974-7631) of Tom Asher Adventure Riding Academy (TAARA) will be providing off-road training at Ribfest. His training is unique compared to any other schools available because he trains people using real world adventure situations along with basic motor skills instruction. 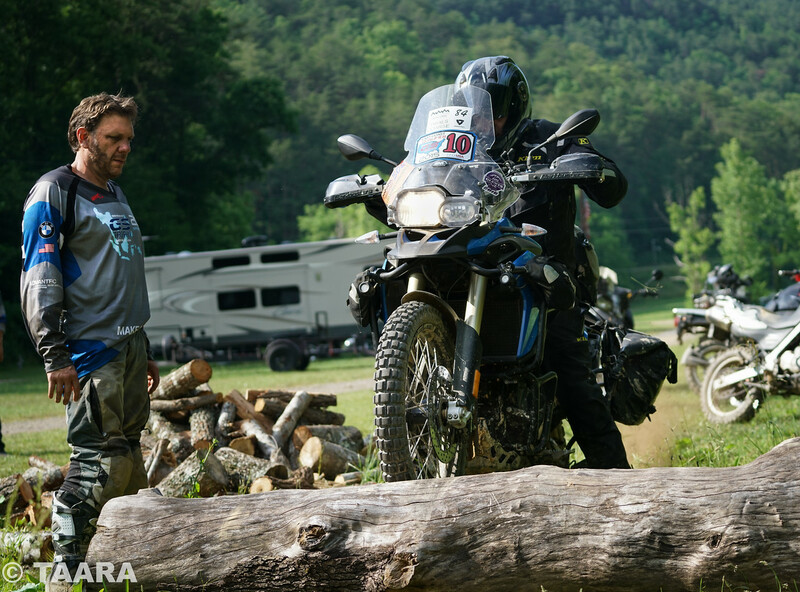 He specializes in advanced training that will give adventure riders the confidence they need to tackle literally any terrain they might encounter on their adventure while conserving energy and keeping the motorcycle intact. Advanced class will be two days, Friday and Sunday, at a cost of $200. Camping will be available Sunday night, but there will be no food or support services available. Start times will be announced later. Classes are limited to 12 participants per day. You do not have to attend the rally to take the course, however you may want to have the Rib dinner Saturday evening. In this case you will need to register for a day pass. If you would like to camp at all, you must sign up for the full price of the rally. Please keep in mind you get a $10 discount off the full price if you register by October 8th. This rally site is primitive tent camping. There are Porta-potties but no showers. Naturally, Saturday is Rib Night - after all, that's how the event got its name. All the ribs and fixins you can eat, all evening long. Every rally-goer's favorite, Don Stover will make another appearance in Ribville to serve you breakfast Friday, Saturday, and Sunday, and dinner Thursday and Friday. Menus will be announced later. All those meals are included in a Full Rally registration. Dinner one night (ribs Saturday night, if you're smart) is included in a Day Pass. There are a few good places to eat nearby (Rubee's, Breece's, Homestead), and nearby grocery stores. Buy beer at the Exxon or Shell station. Free coffee and moderately-priced soft drinks will be available on site every day. The bridge across the creek will be for motorcycles only, set off to the side from the main driveway. Cars, trucks, trailers, RVs, etc., will have to ford the creek to enter the site. If you're not absolutely sure your 38' Winnebago has the ground clearance to make the entry and exit, don't bring it. Don't despair, though - there's a campground a few miles away where you can park that Winnebago and ride to the site for all the events. All trailers and RVs that make it across the creek will park at the lower end of the farm, just up from the creek, on the left side of the road. There's no electricity in this area. Sorry, no dogs allowed this year. We're sure your dog is well-trained, but it's one of those things where one or two people spoil it for everyone. Also no cats, bears, horses, llamas, Vietnamese potbellied pigs, or emus, even if they are "part of the family". Small rodents (hamsters, guinea pigs, hedgehogs, etc.) must be confined to your quarters, but neither the Club nor the landowner are responsible for the actions of natural predators. Show up Thursday anytime to get your favorite camp-site. 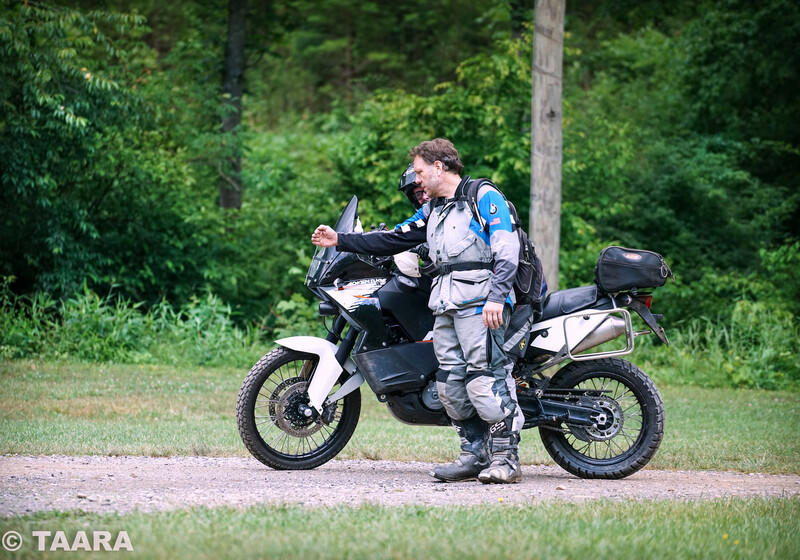 Guided Rides - Intermediate and Advanced dual sport rides and a road ride will be available. Check at the on-site registration desk for departure times and meeting points. Note these are now on Friday. GS-Giants Trials (Sign-up at Ribfest, donations welcome for GS Giants Club, prizes). Even if you're not a dual sport rider, GS Giants Trials are fun to watch! Check out the video at the following link: Link to Video. Coffee... lots of coffee, please. Hang out as long as you like, ride the dirt roads. Break camp, ride safely, see you next year. The file contains six tracks - three road rides including a shorter local ride with a stop at the Diamond Gusset store, and three dual sport rides of varying difficulty. ("Tracks" are the most reliable way to share routes across multiple GPS and mapping software platforms. They do not include turn-by-turn directions, but can usually be converted to a Route by your GPS.) The file also includes a Ribville waypoint that can be imported into your Favorites list. The Rally site is a privately owned farm approximately 50 miles southwest of Nashville. From the intersection of TN 100 and TN North 48 (there is an Exxon on the corner), ride North 0.3 miles then turn right onto Bells Branch Road. Ride 1.8 miles then take the left fork onto Bells Branch Trail. This is now a smooth dirt road. Ride 0.3 miles to driveway on the left. There is a green gate. There will be signs. Verizon cell phone service is fair, other carriers are spotty. To contact the rally chairs, email ribfest@bmwmcon.org.